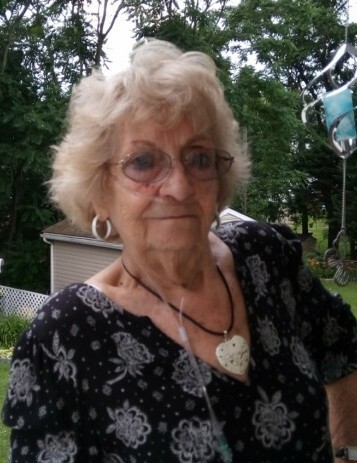 Wanda M. Jones, 75, of Glen Burnie passed away on January 28, 2019. Wanda was born on October 8, 1943 in Lee County, Virginia to the late Ulysses B. Herron and Ora Marie Herron. She was also preceded in death by her brother, Burlin Herron. Wanda is survived by her husband of 55 years, Ronnie Jones; her children, Keith Jones, Cheryl Kulkusky (Mike), and Trish Smith (Scott); her grandchildren, Kelsey Smith, Kody Kulkusky, Dylan Smith and McKenna Kulkusky; her brothers, Charles Wesley Herron and Gerald Herron. Wanda enjoyed crafts of all kind, gardening and was very handy around the house. The family will receive visitors at Singleton Funeral & Cremation Services, P.A., 1 2nd Ave. SW (at Crain Hwy) on Thursday from 3-5 & 7-9 pm. A graveside service will be held at Glen Haven Memorial Park on Friday at 11 AM.